Zeroing your firearms can be a tedious process if you’re not using a laser bore sighter. These units can help you zero any type of sights or optics systems without wasting bullets, and they can increase your gun’s precision. But did you know some laser bore sighters can be used on different caliber guns? In the following article, we present the best laser bore sighter models of 2019. The units we included on our list offer a reliable solution to improve your gun’s precision, and they will prove to be valuable additions to your kit. Further, in the article, we explain how each of the sighter’s characteristics can influence your shooting experience, so you can decide which model is the right one for your needs. 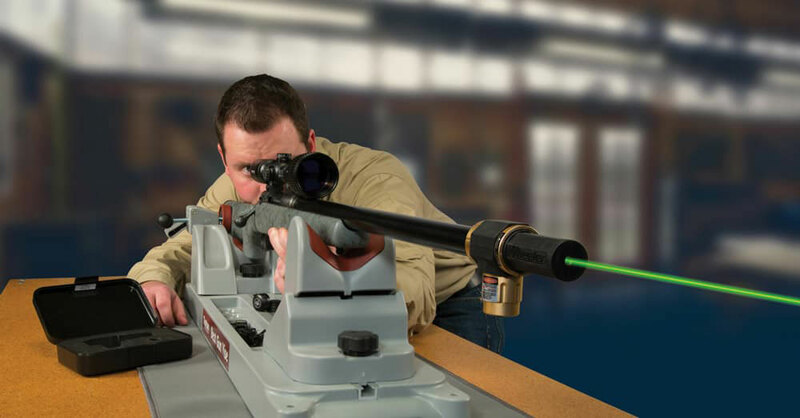 The Wheeler bore sight uses a highly visible green laser and a strong magnetic connection to the barrel to provide a reliable bore sighting. Thanks to its dimensions, this bore sighter is suitable for all types of firearms, from handguns to shotguns and rifles. One of the advantages of using this bore sighter is that it uses a very strong magnetic connection to align itself to the end of the muzzle. This will allow you to make precise alignments without risking to damage your firearms. The boresight is constructed from machined aluminum and it has a rubber-coated housing that contains the laser module. Each unit is pre-calibrated, so you will be able to use them right out of the box. Another good thing about this model is that it uses a visible green laser. The laser can be seen both during the day and at night, and you can even spot it at distances of 100 yards or more on reflective targets. Overall, this is a great universal bore sighter that comes at a decent price. The SiteLite SL-100 Mag bore sighter is suitable for all calibers from .22 to .50, and it can also be used with 20 & 12 ga shotguns. This unit uses a red laser that’s clearly visible during the day and night. One of the best things about using this model is that it comes with a lifetime warranty. Not only will this ensure the fact that you’ll get a replacement if your unit is defective, but it’s also a sign of the manufacturer’s confidence in the product. This model uses a class III laser that has a power output lower than 5.0mW. The laser is red, and you shouldn’t have any problems spotting it in good shooting conditions. Moreover, this unit comes with a compatible phone app that will allow you to print out a zeroing target built around the type of ammo you’re using on a specific gun. This will allow you to zero your firearm with a great precision without wasting time and saving ammunition. All in all, this is a very good boresight that offers a great value, especially if you factor in its price. The Okeba boresight is the only cheap unit that’s good enough to make our list. While this model does not come with all the bells and whistles of other models, you can still use it to zero in your firearms with good results. This bore sighter is suitable for handguns and rifles with 0.22 to 0.5 cal. The unit comes with 4 bore adapters, 2 batteries, and a screwdriver, so you can use it right out of the box. One of the good things about this model is that it comes with a visible laser. The class III laser is red, and it can be clearly visible from up to 300 yards if you use reflective targets. 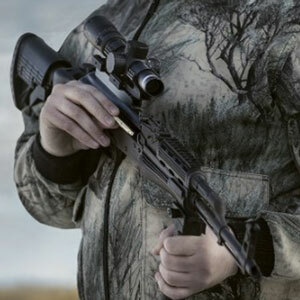 If you’re aiming the bore sighter at non-reflective targets, you should be able to see it clearly from 100 yards or more in good shooting conditions. Overall, even though it’s cheap, this model is sturdy and well-made. This item should be considered by anyone who wants to buy a bore sighter and has a limited budget. 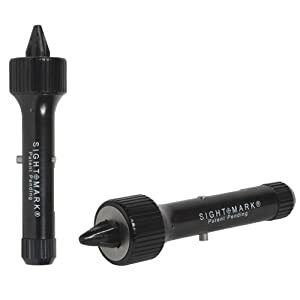 The Sightmark universal bore sighter has a simple, yet effective design. 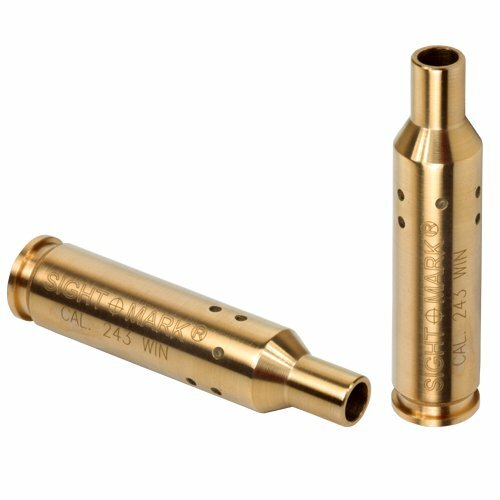 Instead of using different adapters to fit barrels of different calibers, this unit can simply adapt the laser to center down any type of bore. One of the advantages of using this model is that it’s versatile. Instead of having to carry different adapters, screws, and screwdrivers every time you want to zero in your firearms, you can simply use this unit. The bore sighter uses a red laser that will show you exactly where you’re aiming your firearm, and you won’t have to fire a single bullet to zero in your sights. Of course, you might need to make small adjustments after using this unit, to compensate for the bullet drop and any other environmental factors. Another good thing about using this model is that it comes with a limited lifetime warranty. This ensures the fact that you can use the device for a long time, and it’s a very good feature, especially if you factor in the unit’s price. All in all, this is a very good universal bore sighter, suitable for both professional and amateur shooters. The SiteLite SL-500 is a bore sighter suitable for all calibers from 0.22 to 0.5, and it can also be used on 20 & 12 ga shotguns. 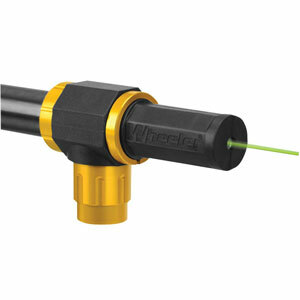 The SL-500 uses a bright green laser and its battery can last for up to 15 hours of continuous use. One of the good things about using this model is that it comes with a ballistic targeting software that can create a custom boresighting target according to your firearm model and type, as well as the ammunition you’re using. Another good thing is that the SL-500 uses a strong magnet to stay exactly in the center of your firearm’s bore. This will allow you to zero inaccurately and make all the necessary adjustments to your sights and scopes. The SL-500 comes with a highly visible green laser, and you will be able to see it clearly both during the day and in the dark. The lifetime warranty will allow you to use the bore sighter for a very long time, and its versatility makes it perfect for most types of firearms. The LaserLyte bore sighter comes with 4 different adapters that make it suitable for all calibers between .22 – .50. This model uses a class III red laser to show you where you’re aiming, and you can use it to zero in your iron sights, scopes, and red dot sights. 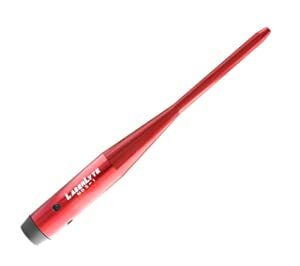 One of the best things about the LaserLyte is that it’s very easy to use. You just have to find the right adapter for your firearm, attach the sighter to the barrel, and turn on the laser. 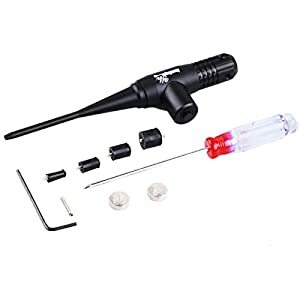 This will give you a clear view of where your firearm is really aiming, and it will allow you to make the necessary adjustments and zero in your sights. Using this model is simple and straightforward, but it’s also economical. You can zero in your sights or optics using only 2 or 3 bullets, so you can actually save money in the process. All in all, the LaserLyte is an efficient bore sighter that comes at a decent price. The Sightmark rifle boresights are specially designed to provide a precise determination of where your rifle is actually aiming. This laser sight is only suitable for one or two calibers, but what this model lacks in versatility, it gains in precision. These boresights are designed to mimic the precise dimensions of the real cartridge of the same caliber, and they will slide into the chamber, allowing you to see where your rifle is aiming. Since these boresights look and feel just like the real cartridges, you won’t have to adapt them or modify them to match your firearm. You can start using them as soon as you take them out of the box, and they will help with zeroing in your rifle. The boresights use a red laser to show you where you’re aiming, and you should be able to spot the laser from up to 100 yards if you point it at a reflective target, and from about 40 -50 yards if you use regular targets. Even though these sights don’t offer the same versatility as the other models, they’re precise, reliable, and easy to use. This makes them very valuable, especially since they come at a great price. As you could see from our short reviews, bore sighters come in different sizes and shapes. Even though they are used to provide the same results, they use different features to do it. This is why finding the best laser bore sighter might be more difficult to do than you would expect. In the following section, we take a look at how the characteristics and features of a bore sighter can influence your experience, and we explain how to find the right model for your needs. The type of laser the bore sighter comes with is really important in how you can use the unit. Not all the lasers manufacturers use are the same, and some are better than others. Here are some characteristics you should look for. Laser Class – The class of the laser is one way of determining its quality. Most bore sighters come with class III lasers, but there are some models that use better ones. The class of the laser affects the laser’s visibility, and the lower the laser class, the more visible the laser will be. Higher class lasers are also more likely to be dangerous for your vision, but class III lasers are considered safe. Laser Color – The color of the laser might seem like an arbitrary characteristic, but it’s anything but. As a rule of thumb, you will be able to see the green lasers better than the red ones. For one, green lasers are often more powerful, whether they’re in a different class or because they’re running on different wavelengths. Another reason why green lasers appear more visible to us is that our eyes are capable of spotting the different nuances of green better than they do red. Using a green bore sighter will allow you to zero in your sights and optics over longer distances (you will need a rangefinder as well). Laser Brightness – Even if they belong in the same class, some lasers are dimmer than others. It’s ideal to find a bright laser because that will allow you to zero in your firearms in broad daylight. Otherwise, you will either have to zero in your sights indoors, or you have to wait for a clouded day or for the evening to come before starting. As you could see from our reviews, some laser bore sighters can be used for more calibers, while others can be used for a single caliber. Here are some of the differences you’ll notice when using the two types of sights. More Calibers – The units that can be used for more calibers usually use different adapters to fit on the firearm’s barrel. These adapters have to be changed every time you want to use the sighter on another firearm, but luckily, they’re not difficult to change. The bore sighter will come with all the equipment you’ll need to change the adapter, which in most cases be a single screwdriver. Even though these models are usually precise and reliable, their design might not be compatible with muzzle breakers or flash hiders, so you might have some problems adapting them on all your rifles. However, there are some versatile units that can fit on multiple caliber rifles without having to use screws. Models like the Sightmark Universal Bore Sight use a magnetic platform to attach themselves to the rifle’s barrel. This will allow you to zero in the sights of different firearms without having to deal with all the screws and adapters. Single Caliber – Single caliber laser bore sighters have the advantage of being very easy to use. 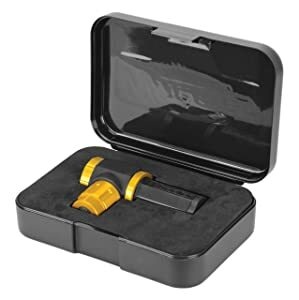 Since they’re not supposed to be used on different caliber firearms, they don’t come with screws and adapters, and you can use them as soon as you open the box. There are two kinds of single caliber bore sighters. Some of them attach themselves to your firearm’s barrel, just like the versatile models. They either use a magnetic platform or simply slide into the barrel without any problems. Other models, such as the Sightmark Rifle Boresight, are designed to mimic the real cartridges. These units can be loaded into your rifle’s chamber, and they will show you precisely where the rifle is aiming. Both of these designs are easy to use, and they can be very precise. Just like with every other product on the market, laser bore sighters come at different price ranges. And since most of them do similar things, you might be wondering what the price differences are all about. Well, let’s take a look at how the price influences the performance when it comes to laser bore sighters. Cheap Models – These models usually use class 3B lasers. While these lasers are considered safe, they’re right on edge of the safelight spectrum, so it is advisable to avoid staring directly at them. If they’re designed to be used on a single caliber, they have a simple design that makes them efficient, despite their low price. 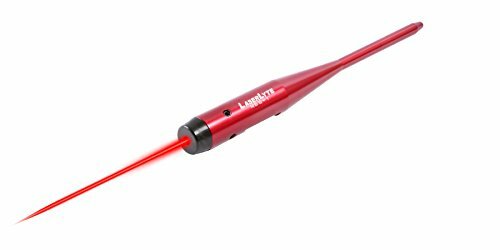 The laser emits a red light that’s visible in low-light conditions, but not very visible in broad daylight or bright artificial lighting. While this is a disadvantage, you will still be able to use them with good results indoors or when the light is dim. If they have a versatile design, and you can use them on multiple calibers, they usually come with screw-in adapters. This makes them more difficult to adapt to the field, but they can be efficient, nonetheless. Medium-Priced Models – Medium-priced models usually use better lasers than the cheap ones. The lasers they use are not only safer, but they’re also more power-efficient, so their batteries will last for a long time. Even though they use a red light, the laser is brighter, so you will be able to see it from a greater distance. If they have a versatile design, they might come with ingenious adapters or magnetic platforms that will allow you to use them on different models without too much trouble. If they’re designed for a single caliber, they’re highly accurate. High-Priced Models – These models usually use a green laser light, so they’re easier to spot in all types of light conditions. They are usually versatile, so you can use them on multiple firearms. Even though they’re versatile, they come with magnetic platforms that allow you to use them in the field without too much fuss. Not only do these models use more visible lasers, but the lasers are also more power-efficient, so their batteries will offer a long lifespan. This is especially useful if you have multiple firearms that use different scopes and sights you rotate during the year. This can also be very useful if you’re a professional or amateur gunsmith, as it will lower the unit’s maintenance. Now that you know how each characteristic can influence your experience and you can choose the right model for your needs, let’s take a look at how to use a laser bore sighter. Unload the gun and install the bore sigher again. Look through the sights or optics and adjust them so the sighter is still centered on the target, but the crosshairs are centered on the entry hole the bullet made. Remove the boresight and load the firearm again. Shoot aiming at the center of the target. The shot should pass straight through the center. If it doesn’t, repeat paces 4 – 6. Laser bore sighters make zeroing in your guns a piece of cake. Zeroing when you’re using a bore sighter is not only easy, but it’s also very precise. Following our short instructions on how to use a bore sighter should allow you to zero your sights or scopes using only two bullets, which can save you money in the long run. Finding the best bore sighter is not that difficult if you know what to look for. We hope that our short buying guide provided you enough information to make a decision on which is the right model for your needs.